Chaos is space and matter without time. Time is the great organizer and motivator of creation - in essence the "big bang". Stability is linear and growth is cyclical. 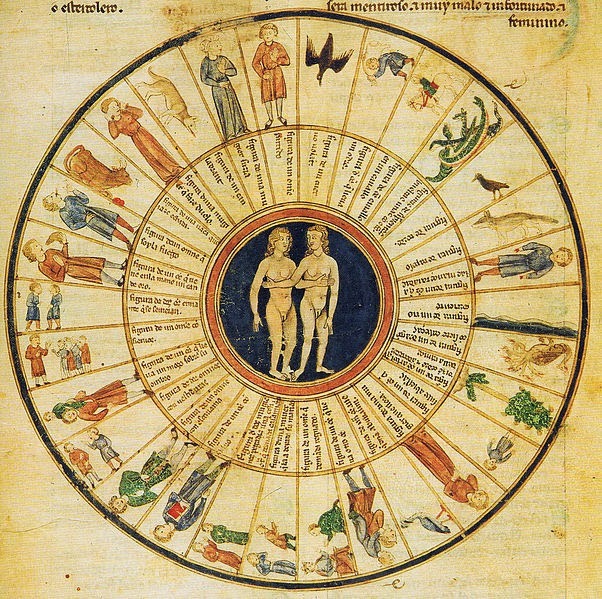 To further clarify then it is the concept of time motivated by cyclical movement that is the spice that drives creation. Interestingly my thoughts are independent of space, have no physical properties, but do occur in time. Will I still think in an existence that is devoid of this cyclical time? Perhaps time is an anchor for my thoughts but once freed of its chains my thoughts become omniscient. The visionary experience, especially with ayahuasca, seems to take us out of this dependence on time in addition to giving us the perception that the onward marching of time can be transgressed. 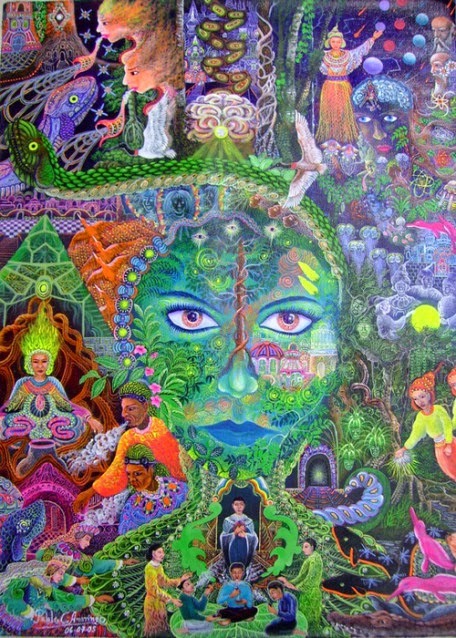 Ayahuasca can take our conscious essence back in time and project us forward into the future. If all physical existence projects outwards from the "big bang" then that is the one original source so in sum we are all one in physicality. What causes the division and separation is time. Time separates all in the material realm by distance and also, if you think about it, chronologically. This concept of time and separation is encoded in the ancient Egyptian story of Osiris and his murder at the hands of his brother Set. 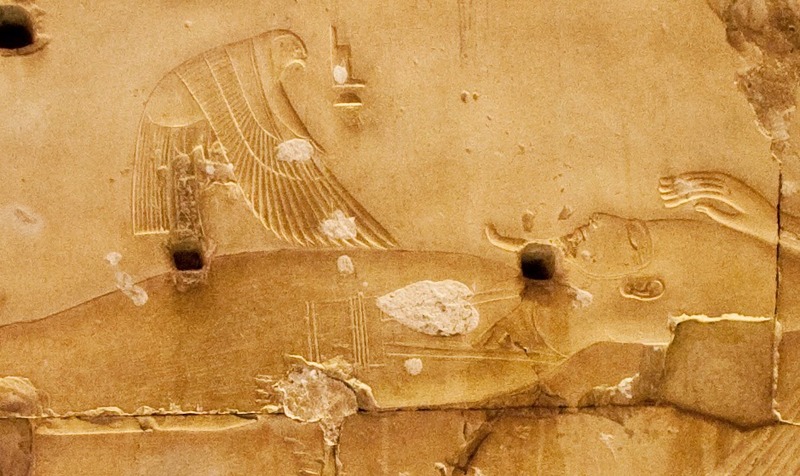 The death of Osiris is described as being perpetrated by Set and his 72 co-conspirators. The 72 are representing the known visible extra-zodiacal constellations, called paranatellons, of the nighttime sky that rise and set simultaneously with the zodiacal constellations and their movement through the heavens is representative of this moving time principle. Time in the material realm is created by this ongoing celestial dance. The metaphor of the death of Osiris, Osiris being the soul, is telling us that the soul suffers its death at the hands of time. Osiris is trapped in time at the hands of a diabolical magician. In the ancient Egyptian literature we do find Set associated with the hieroglyph for separation. 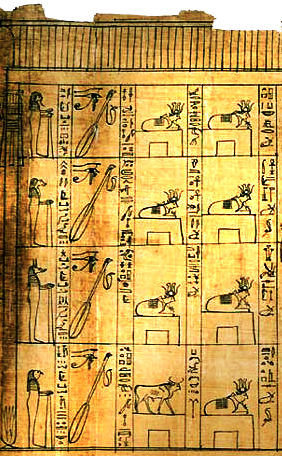 Seth, God of Confusion, H. te Velde, pages 31-32.
hieroglyph. This way of writing the word afterwards fell into disuse, but the idea that Seth is the god set apart, or the god who separates, was preserved. 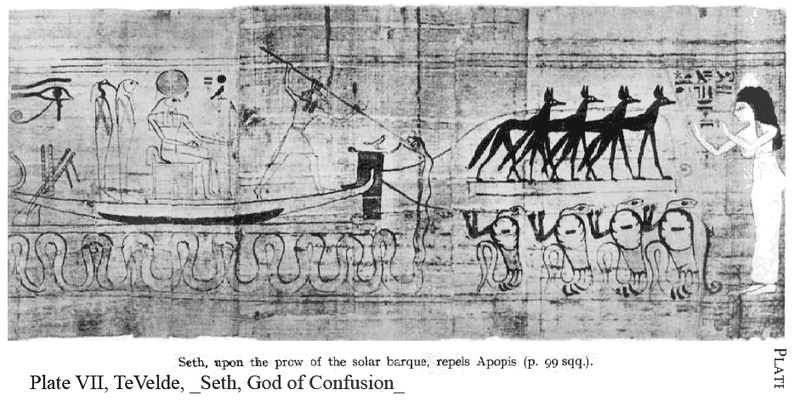 Seth, God of Confusion, H. te Velde, page 32. 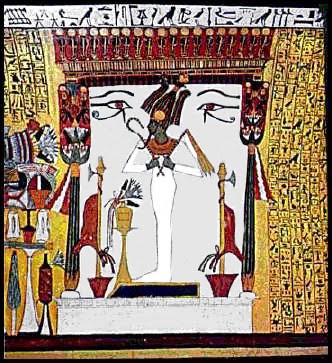 From the myth of Osiris however we also know it is possible to resurrect this soul through the help of the Goddess, who is representing love, wisdom, and (re)birth. Isis sets out to find the body of Osiris, reconstitute him, then literally and figuratively remember him, and afterwards copulate with him in order to engender an heir. The son from this posthumous union, Horus, forges ahead on the journey of the soul and continues its legacy. 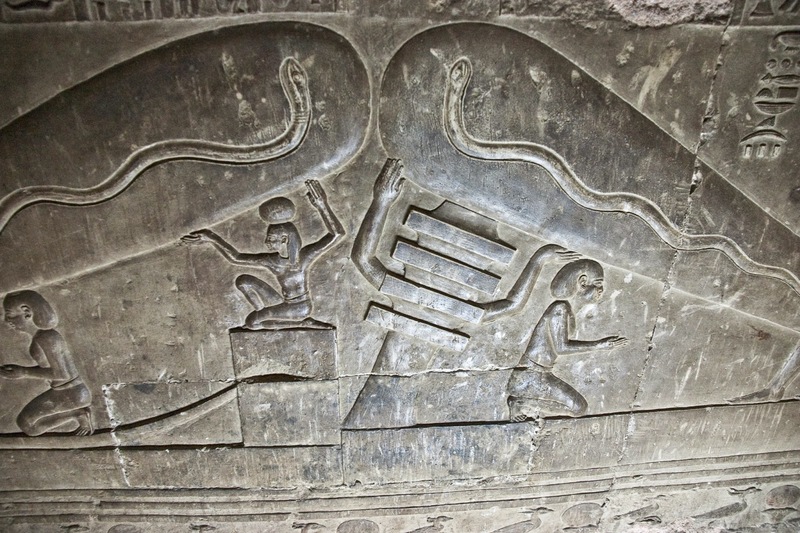 Horus is attacked by this Set who is intent upon killing him as well. Eventually Horus grows into manhood and sets out to avenge the death of his father and subdue the power of Set. Horus takes Hathor as his goddess wife and through this union is produced a child called Ihy who provides the power needed by the soul to transcend the physical plane. Once this occurs then the principle of the eternal unchanging master of time gains power and takes hold over the cyclical conception of time. 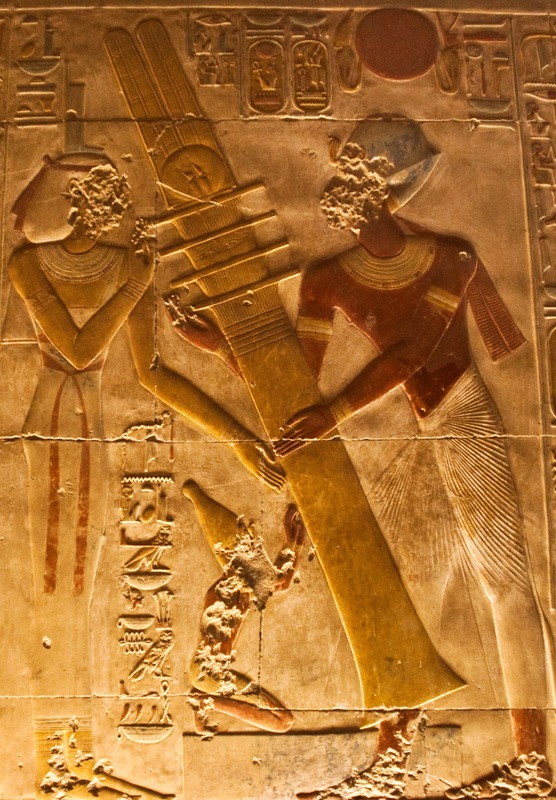 The ancient Egyptians represented this principle through the djed pillar that when raised signified the resurrection of Osiris. It is representing a time scale that is in a sense linear though a better choice of words would probably be something like stability. The ancient Egyptians called this concept of time djet which is opposite to the concept of cyclical time which is called neheh. The celestial boat of Re circles the sky to continue this idea of time being generated by movement and not so coincidentally Re enlists the services of Set who stands at the prow ready to fight all that dare to halt this procession, especially the serpent Apophis who is intent upon swallowing this barque of Re's and returning all to chaos once more. VII: A. Piankoff, N. Rambova, Mythological papyri, New York, 1957, Plates volume, pl. 2. Re symbolizes the path and creation of cyclical time but it is the strength and power of Set who is the force that propels and sustains the journey. But ultimately the goal of the soul is to transfigure into an incorruptible form that no longer incarnates into matter cyclically as it becomes a pure shining one not in need of further cleansing in the waters of incarnation. 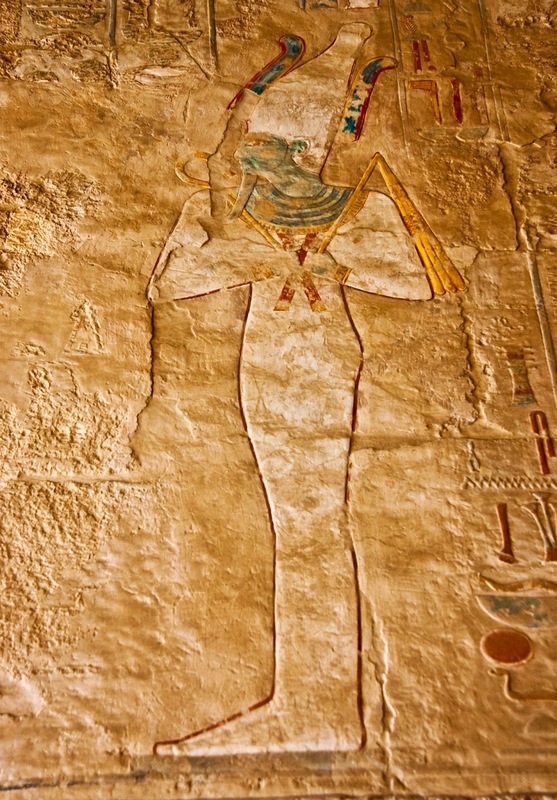 Armed with this knowledge, it can be seen that the ancient Egyptian process of mummification and its association with Osiris is illustrating this metaphysical concept quite clearly. The mummy is representing the incorruptible that not even death can lay waste to. Time clearly then is not all we suppose it to be.